After losing Brian McCann in free agency to the Atlanta Braves, the Houston Astros have shifted their focus to former Texas Rangers catcher Robinson Chirinos. Per multiple reports, Houston has agreed to a one-year deal with Chirinos. Can confirm the Astros have agreed to to a deal with C Robinson Chirinos for one year, pending physical. He played the last 6 six seasons with the Rangers. The 34-year-old has spent time with the ​Texas Rangers and Tampa Bay Rays during his seven-year career. 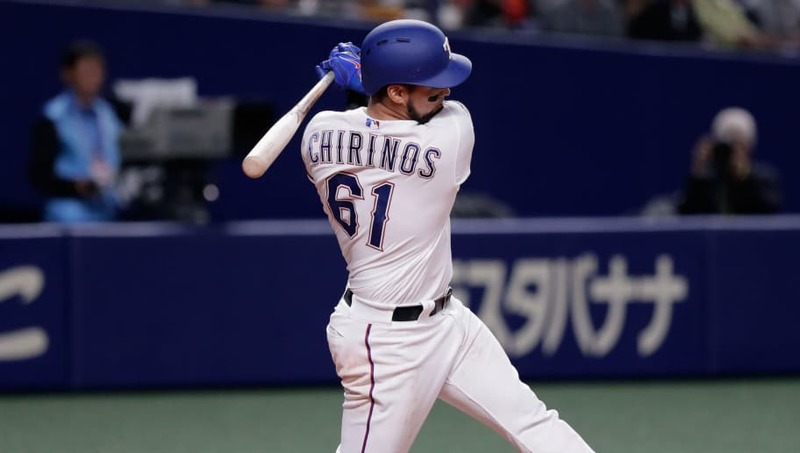 After missing all of 2012 with a concussion as a member of the Rays, Chirinos spent six years with the Rangers as both the starting and backup catcher. Texas made the decision not to pick up his 2019 contract option, which would've paid him $2.375 million. It's a solid pickup for the Astros, who won't get much from Chirinos as a hitter, but he's great at blocking the ball and has improved over the years at throwing runners out. Chirinos is a lifetime .233 hitter. He has hit 68 home runs and 204 RBI to his name. With the deal only for one-year, the Astros will get a nice defensive option behind the plate that they can let go if things don't work out.